We are authorized distributor of shimadzu. . . . In order to meet excellent quality standards, we are supplying Shimadzu Spectrophotometer. Designed in accordance with the governing Japanese and European Pharmacopoeia, the new UV-1800 spectrophotometer achieves a resolution of 1 nm, the highest in its class, in a compact design. Offering an array of user-friendly features, the UV-1800 can be used as either a stand-alone or as a PC-controlled instrument. Banking on our enriched industry experience, we are able to supply Shimadzu Spectrophotometer. 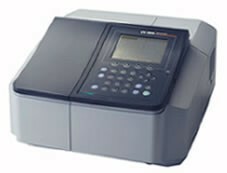 We are a top notch supplier of Shimadzu Spectrophotometer. We are in supplying a wide range of Nandrop Spectrophotometer (imported-shimadzu/Thermo). Being important Laboratory equipment, Nandrop Spectrophotometer is used for measuring amount of light reflected. Further, our Nandrop Spectrophotometer measures exact unit of the measurement of light. Besides, our clients can avail our products at competitive prices in the market. 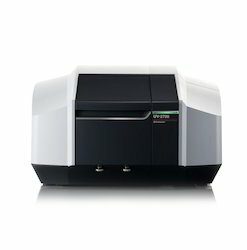 Our reputed entity is engaged in supplying Shimadzu Spectrophotometer. We are a top-notch organization, engaged in providing Shimadzu Spectrophotometer.